In case you didn't know we are Apple lovers/users at our house. We have more Apple products than I care to count. 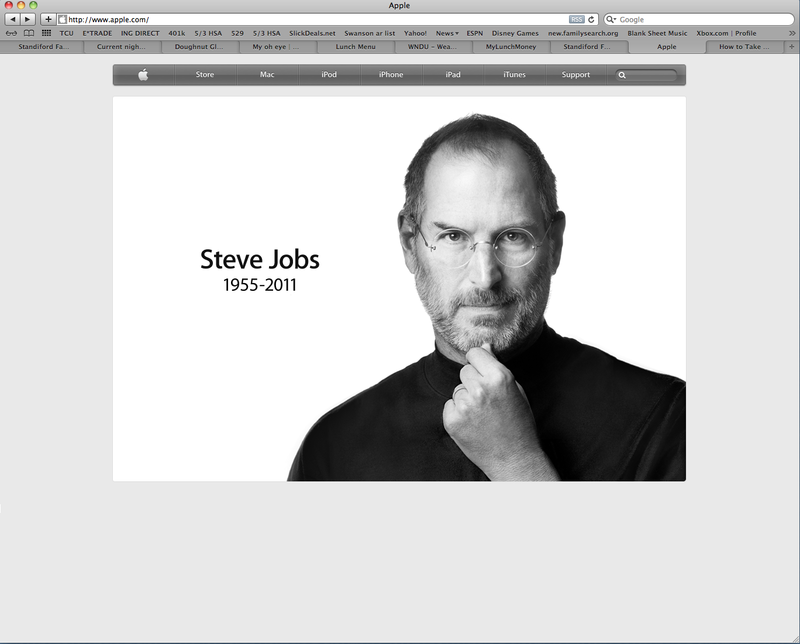 It seemed only fitting to mention the passing of Steve Jobs today. Thanks to him we have lots of toys to keep us entertained. p.s. I just watched this video to learn how to take a screen shot. I think I did good, right Babe? I don't which I'm tearing up about, the fact that this great innovator has passed, or the fact that you learned how to create a screenshot all on your own. You did a wonderful job using the products Jobs helped create.